Whether you live in w-space or not you have likely heard about wormhole evictions at some point. A recent thread on the forums has people discussing whether or not evictions are good for w-space. There are a few arguments for and against wormhole evictions, as well as a number of reasons people might have for carrying out an eviction. Let’s take a look at them in this week’s article. Perhaps the “best” reason to evict someone from their home wormhole is because you want to claim it as your own. I don’t think I’ve seen people arguing against this reasoning as it ensures that the wormhole is still occupied after the residents are removed, so there is (in theory) no loss of content or targets from that wormhole. The main problem players have with evictions is that it removes players from w-space, an area of space in the game that already has a small population. Removing someone from their wormhole to claim it as your own is generally seen as an acceptable reason for performing an eviction. Other reasons players have used for evictions have been to specifically kick carebear corps/alliances out of w-space. There is a lot of ISK to be made in w-space and people tend to look down on groups that are there simply to fatten their wallet without ever engaging in PvP. Evictions have happened in the past to remove groups of bears from wormhole space, both in the hopes of more PvP-oriented players taking their place, and to simply send a message that carebears are not welcome in w-space. This may cause issues for small groups that cannot field the numbers necessary to face off against larger ones. If they never fight they risk being labeled carebears and getting evicted in the future. If they do fight they are sure to lose everything they field as they are severely outnumbered. Sometimes a smaller fight can be arranged to appease the larger group. Not everybody in the fleet got an engagement, but at least some people got to shoot something, right? This setup requires trust between the two sides however, and might not always work. Lastly, some wormhole evictions happen for very simple reasons; the players want something to do. Don’t get me wrong, evictions are not fun at all. If the possibility of seeding capitals into the wormhole exists, you can spend days rolling wormholes to get all the desired caps inside the target wormhole. After you’ve done that the eviction itself isn’t all that much more interesting. There might be some fights when the eviction starts if the residents decide to defend themselves. But once you’ve gained hole control it is just about maintaining it 23/7 while sieging towers. Not particularly exciting stuff, so why would players choose to do this if not to take the wormhole for their own? Well, to many players it is at least some form of content. I’m willing to bet that the majority of players in w-space haven’t been involved in performing an eviction, so perhaps players just want to do it so they can say they have. There’s also the opportunity to collect lots of tears from the residents as you burn their home down. Lastly, it is possible to make quite a lot of isk from an eviction under the right circumstances. Popping a Ship Maintenance Array can potentially be a pinata of free goodies, and players that are trapped in their wormhole might be willing to sell some of the ships in it to the attackers. Getting a portion of the value of it is better than self-destructing it in the POS shields. I’ve briefly mentioned the reasons people have against evictions, but it bears going into some more detail. Some players look at evictions as a type of content in w-space, others look at evictions as something that removes content in w-space. Fewer groups living in wormholes means fewer people to shoot at in wormholes, even if they are carebears who never willingly PvP, they are also possible targets for non-consensual PvP. If all carebear groups and small wormhole entities who won’t fight while severely outnumbered were evicted, wormhole space would be very, very empty. 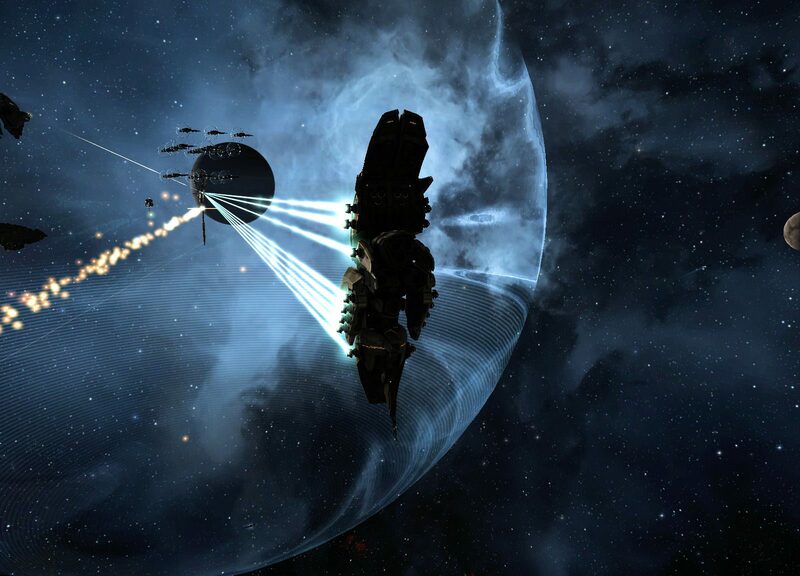 Players also worry that the threat of evictions leads to the creation of a wormhole “blue donut.” Small and medium sized wormhole groups need friends in the event of an eviction by a much larger group, leading many players to think w-space is in danger of becoming stagnant in a way similar to nullsec. It can also make people wary about living in w-space in small groups for fear of having no chance of defending themselves. Players enjoy being in corporations and alliances of all sizes. Those who choose to be in a small close-knit group should be able to play and survive that way in w-space. Personally I don’t think it is good to make a blanket statement of “evictions are bad for w-space.” I think evicting the little guy just because you can is potentially detrimental to w-space as a whole, but I also think taking a wormhole from the current owners so you and your buddies can live there is exactly what EVE is all about. Ideally, I would love to one day see a w-space where we don’t need to talk about evictions being good or bad because wormholes are so vastly populated that one group getting kicked out is not a noticeable net loss of content. For now that just seems like a dream for the future though.